Harrison Brook France is committed to providing customers with the cheapest route to buying quality Expat Life Insurance. Expat Life Insurance is about protecting those you care about and who are financially dependent upon on you. Nothing can replace you, but money provided at the right time will ensure that your family will be financially secure without you. Expat Life Insurance relates to a contract between the policyholder and the insurer where the insurer will promise to pay a particular sum of money to a designated beneficiaries upon the event of the death of the insured person. Expat Life Insurance is available to expatriates of all nationalities and your family will benefit from a lump cash sum if you were to pass away before the age of 65. Depending on the type of insurance contract, other events such as terminal illness or critical illness can also trigger payment. 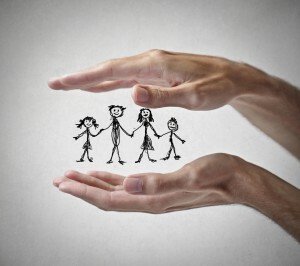 Critical illness and Expat Life Insurance may, therefore, be combined with one another. If you have financial dependents then you should consider, very carefully, whether you are adequately insured should you die prematurely? Purchasing Life Insurance is as a proactive and realistic approach to protecting those you care about after you are gone. If your children have yet to enter higher education, how able will your family be to support them throughout their studies? Other costs may be manageable but the rising costs of higher education are unlikely to be affordable. Allow yourself some peace of mind by ensuring that you have the necessary protection in place with a global Expat Life Insurance policy.